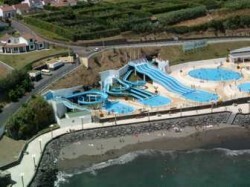 The Atlantico Splash water park is situated in Vila Franca do Campo on the Azorean island of São Miguel and is a firm favourite amongst residents and tourists alike. The park is a key landmark on the island. It occupies an imposing location, clinging to a wooded hillside that slopes away to the Vinha da Areia beach below, offering visitors unbroken views across the sands and out over the water. Indeed, the views from the slide tops out to sea are so impressive that as you start your descent it feels as though you are going to be deposited right in the middle of the Atlantic Ocean! 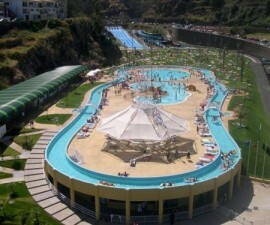 The Atlantico Splash complex boasts a variety of installations guaranteed to please visitors of all ages. Race your friends or family simultaneously down the triple chutes or spiral tubes or simply relax and enjoy the beautiful surroundings in one of the leisure pools. The park also caters particularly well for children, offering a fully-staffed crèche for little people between the ages of 3 and 10. Here at the Jardim do Villy they can enjoy a range of activities such as trampoline, painting, modelling or team games, or relax in the shade during the hottest hours of the day to watch a film. The crèche is open for your child to visit for up to 3 hours a day, leaving you free to enjoy some of the park´s more adventurous activities, safe in the knowledge that they are having fun and are well taken care of by fully-trained staff. The Jardim do Villy is also a popular location for birthday parties for younger guests. The park is easily accessed on foot or by car, for which there is ample parking above the complex. 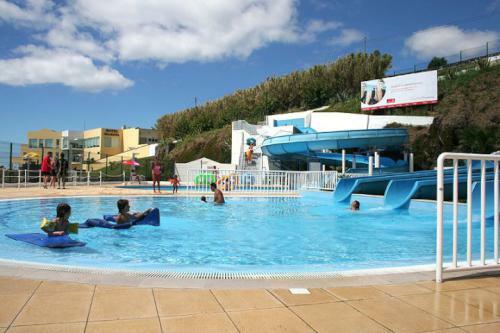 With shaded areas, sun loungers and a range of installations, the Atlantico Splash offers plenty to keep visitors occupied for a fun-packed day out. But for those who do wish to explore the local area, there is plenty to see and do nearby. Take a stroll around the many churches filled with intricate woodcarvings and fine manor houses boasting high-quality masonry dating from the island´s orange export boom in the 18th Century. 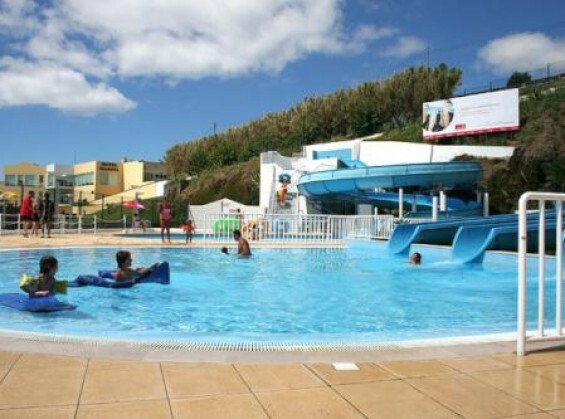 Nestled almost midway between Europe and South America at the heart of the Atlantic the islands enjoy an enviable year-round climate and long summer season, offering you plenty of time to enjoy everything the Atlantico Splash waterpark has to offer.